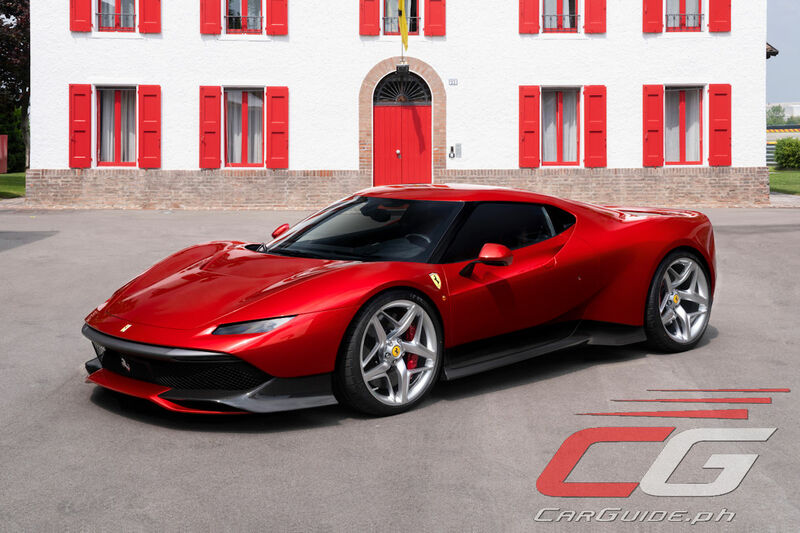 Compared to the 488 chassis, the visual mass of SP38 appears concentrated over the rear wheels as the wedge design sharply stretches towards the front. In plan view, the strongly tapered nose expands towards muscular wheel arches, giving the car potency and agility. 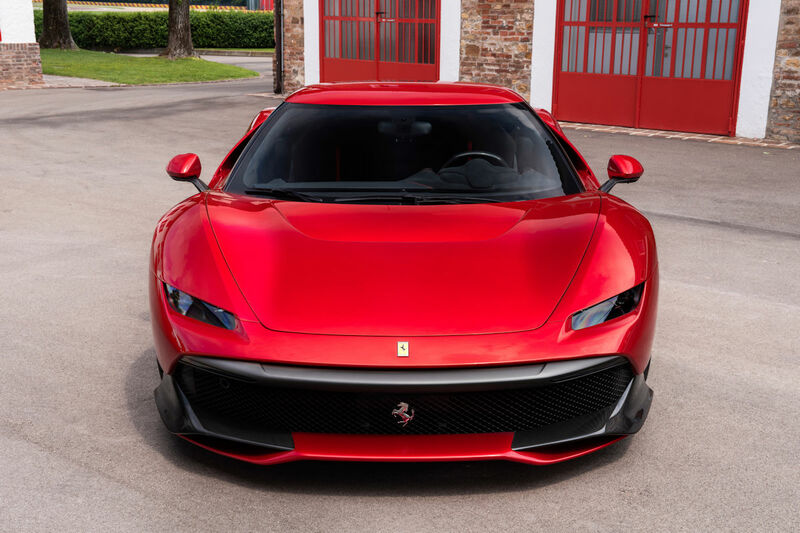 Specific inset headlights were designed to be as thin as possible, with the mandatory DRL (daytime running lights) units relocated to add character and functionality to a slim bumper lip reminiscent of the 308 GTB. 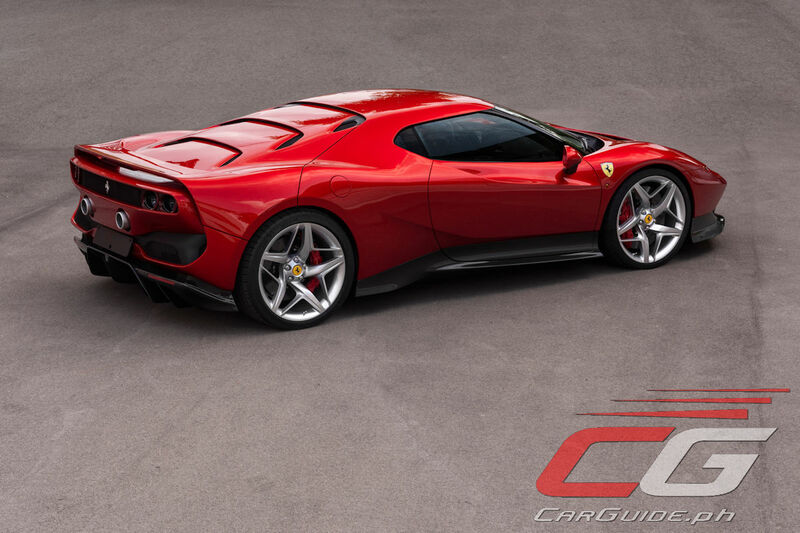 On the side, the defining air scoop of the 488 GTB is completely concealed where the sheet metal folds in on itself from the low belt line on the door and into the rear wheel arch and three-quarter light. The effect is dramatic, as it reinforces the importance of the rear volume while, at the same time, maintaining the air flow to the intercoolers at the base of the side window. 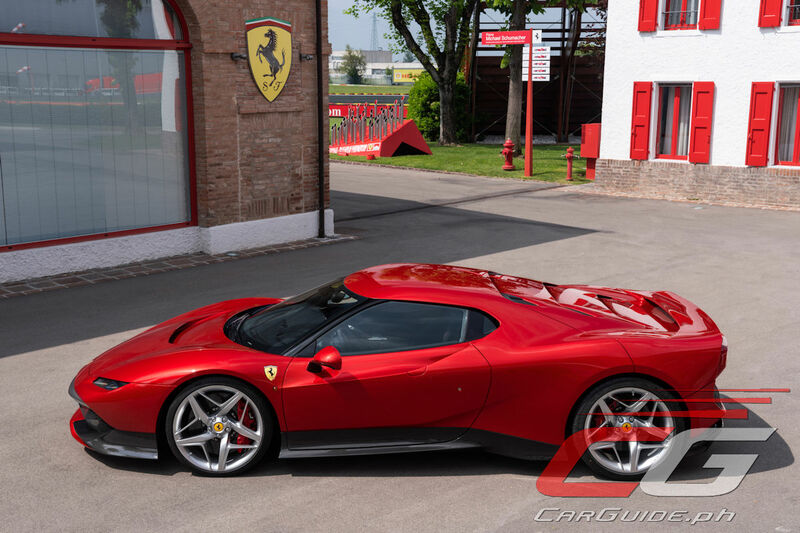 The dynamic styling continues over the engine cover, which sheds its rear glass and is treated as a flip-up assembly in carbon fiber with shut lines slashing the flanks in a gesture directly reminiscent of the F40’s. Three transverse slats slash across the engine cover to evacuate engine heat, and the smooth integration of a substantial rear spoiler is a hint at the famous rear wing of the F40. 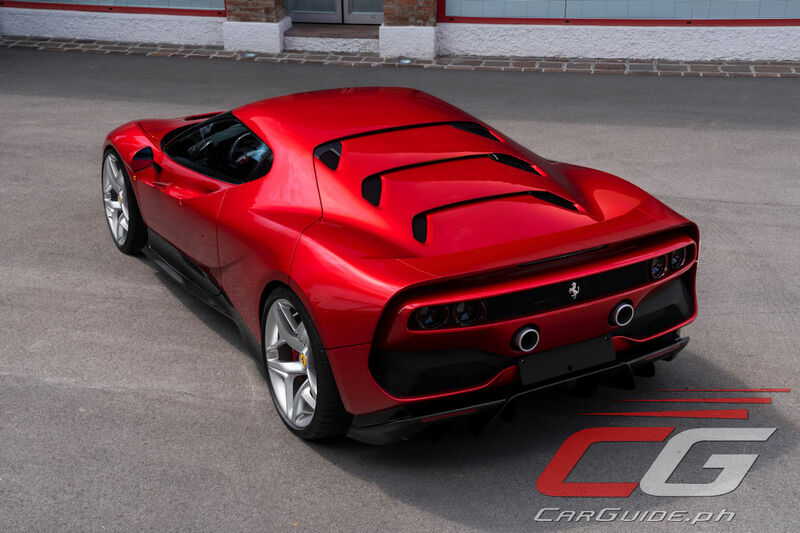 The trailing edge of the spoiler links seamlessly with the wing and with the aerodynamic diffuser at the bottom, to create a suggestive frame surrounding the tail volume.